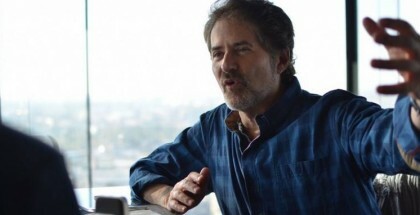 In the next issue of CinemaScore, Larson published the full text of an interview with James Horner from the previous year. 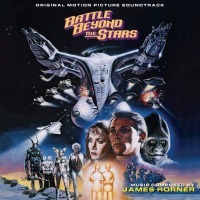 Larson and Horner spoke of his time in academia and transition into film music, the pressures of being asked to emulate another composer’s work, his work on Wolfen, and how he worked with Nicholas Meyer on his most recent and best known assignment, Star Trek II. excerpted from CinemaScore, issue # 11/12, 1983; interview by Randall D. Larson. 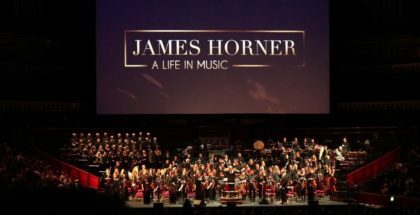 Emerging from the low budget film school, Roger Corman's New World Pictures, James Horner has become a notable composer in the Big Budget movie world, who's latest assignments included Something Wicked This Way Comes (replacing a rejected Georges Delerue score), Krull, and Brainstorm. 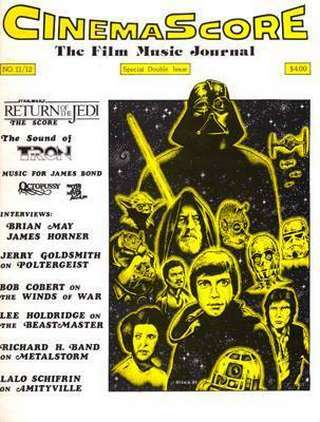 Interviewed shortly after the release of Star Trek II on June 7, 1982, Horner candidly described his feelings on film music for CinemaScore. Additional comments by Horner on Star Trek II may be found in CS #10. CS: Would you briefly describe your background in music? JH: I studied music in England for quite a while, and came here and got my bachelor's degree from USC and my master's degree from UCLA. 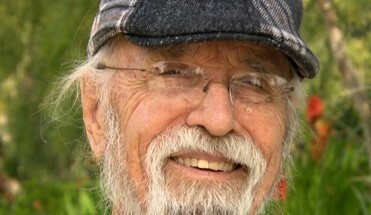 I started working on a PhD at UCLA and then began to teach there. A few years ago I finished my academic career, and starting working full time scoring films. That, in a nutshell, is my musical background. CS: How did you get started in film scoring? JH: I did about seven or eight AFI [American Film Institute] films, and a bunch of student films, and gradually I went to low budget, independent films, and slightly higher-budgeted independent films. 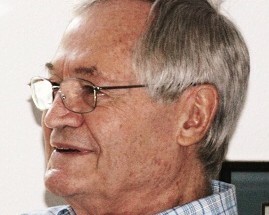 Then I worked for Roger Corman at New World Pictures and various other independents until I got my first big film break from Orion pictures to do The Hand. Then I did Deadly Blessing for Polygram Pictures, and I was hired to do Wolfen for Orion again. CS: Do you have any concern over being type-cast as a horror composer? JH: I'm not in the horror mode right now, so I don't have to worry about that. My last two films, the Pursuit of D. B. Cooper and Star Trek II, were not horror scores, and I've done about six two-hour TV movies which are not horror. I seem to get most of the science fiction type of assignments now, but I hope that will gradually change. CS: How, basically, do you approach a film score once you're assigned to it? JH: I look at the film and try to assimilate what the producer and director want. Very often they don’t know exactly what they want or they know, but don't know how to express it, so it comes out wrong. I try and find out what the director or producer feels, and I try to get them to express it to me in non-musical terms, so that there's no misunderstanding. Then, based on what they want, I do it in my own language, in terms of putting into the score what I want it to have, certain ideas I'll get while actually writing. You can't talk out the whole score ahead of time, a lot of it just happens while you're writing. Ideas come to you. CS: Some reviewers have noted some similarity between your work and that of Jerry Goldsmith. How would you account for his? JH: Well, I'm influenced by a lot of people. 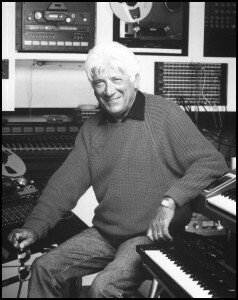 A lot of people say that they hear Jerry Goldsmith, but that's only because they know Jerry Goldsmith's music. I mean, other people thing they hear Debussy's music or Mahler's music or Strauss's music or Beethoven, it just depends on who one talks to. I'm still fairly young, which is not an excuse, but one is influenced by the music of people that one respects. I respect Jerry Goldsmith very much, but hope my music isn't too similar. Sometimes, of course, when the producers are taking a chance on me, and the music budget is $200,000 and they say to me they want such-and-such a score, and I say, well, that score's been done, let me give you something different; they say, give us something different on out next film, this is the kind of score we want for this film. That is very often what one is up against, where a producer or director has seen the movie and has temp-tracked it with someone else's music, has fallen in love with that score, and says this is what we want, period. You try and fight against that a little bit, but sometimes you can't. I've been told very amazing things where they say we want exactly that kind of score, we want that exact kind of cue–just put it in your own language, but that's exactly what we want. I said, well, I can't do that. I've had various situations along those lines, but as far as my music sounding like anybody else's, well, hopefully my own voice will develop as I write. One is always influenced by people one respects, and I'm very influenced by quite a few classical composers, and admire their work very much, so people always think they can pigeon hole my music by saying, well, it's this or that. Most of the films that I've been doing are, in fact, adventure, horror or whatever, and those are the kinds of films Goldsmith does, he very rarely does sensitive films. In my television scores, I'm given a much more free rein; they're not horror pictures, they're usually very sensitive, quiet things, and I maybe have guitar and strings or something like that. They're very different. CS: Do you have any animosity towards those scores that have had to be so derivative? JH: I used to have that problem, but I now I turn down the assignment. If I'm told that's what they want, then I say, fine, get him! CS: Of course, now you're in a much better position to do that, as well. JH: Oh, absolutely. I don't need the credits as much as I did, or I don't need those kinds of credits. The projects I'm going after now are much more ambitious and people that are making those kind of films wouldn't say to me, we want such-and-such, or, we want so-and-so. They simply say, here y'are kid, go to it! But I don't blame them for their doubts. Obviously, if you were a producer, or even as the editor of this magazine and you're having someone do an article, you'd want to supervise how the article was to be written and you want to assume control over it for the first few efforts. 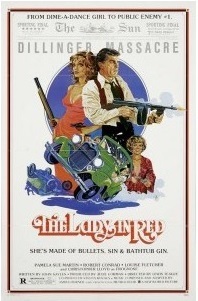 It's the same kind of thing, when you have a fifteen million dollar film and you have a two hundred fifty thousand dollar music budget, and this person comes in and he's twenty-eight years old, as I am, and he says, I want to do your score, the producers look at me and they say, Come on, kid, the only person who can write this kind of music is John Williams, so you have to convince them that, yes, there are other people who can write large symphonic music, or sensitive music, or whatever. But they're still very nervous, and I don't blame them. These are very weird times for Hollywood, things like Annie, which are sixty million dollars, that will take a while to recoup. 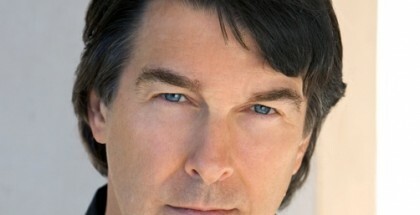 CS: How would you compare your work for TV movies with that of feature films? JH: The projects I get in television, as I've said, are much more sensitive, but the budgets are tiny, and so it poses different problems. One has to make do with a very small orchestra and make it sound big and make the instruments go a long way. I guess the projects dictate a lot of my approach. One project I did for EMI, A Piano For Mrs. Cimino, a love story that starred Bette Davis and Keenan Wynn, had basically a very small orchestra: strings, piano, sax and clarinet. And some of my other scores I've used two guitars, harp and harmonica, and that is it. But the approach is pretty much the same, it's just that you have much less time to record, and you only have two and a half weeks to compose a piece, rather than five to six weeks for a feature. CS: How was it working on the Corman films? Working for Roger is very interesting. Roger is not particularly–I hope I don't get myself in trouble!–but he's not particularly a film music person. He doesn't really understand scores and what they can do. They are the lowest priority on his agenda. They are a necessary evil, so to speak. If he could get away with it, I'm sure he'd just use records. That was the feeling, I think, before I worked with him. 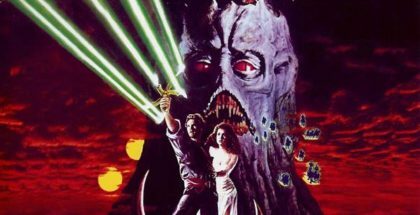 I hope I made a dent in that somewhat with Battle Beyond the Stars, The Lady in Red, and Humanoids form the Deep, but I can't tell you, I didn't really see that much of Roger. He just runs the Company, and I would do the film, and we'd preview it and that was about the only time I'd see him. He'd never come to the scoring sessions, he'd never come to the spotting session. He had no participation in the music, except to say that he liked the music when he saw it in the preview. But he gave me my first big break in films, and I owe him a debt for that; it's just that he doesn't understand film music that well. 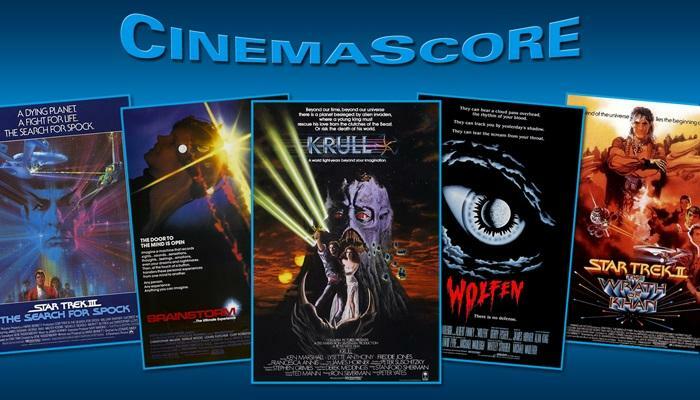 CS: Wolfen was quite an interesting score. I especially liked the use of the whip-like lashes that introduced the "alien vision" sequences. How were those sounds accomplished? They were done electronically. Half the sound was musical and half was a non-musical effect. Basically a processed gunshot which was enhanced electronically and added to musically. It worked very well to create a sort of startling sound. CS: How closely did you collaborate with the sound effects crew in achieving the overall effect? I was working very closely with the sound effects people on that film. 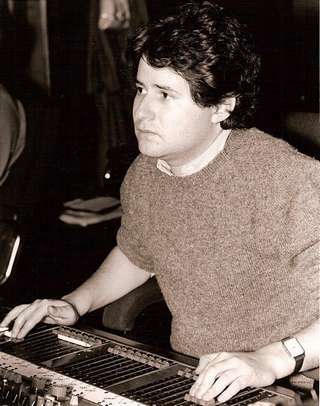 In fact, the head sound effects guy, whose name is Andrew London, had a whole sound world he created, in terms of electronic effects. I wanted to make sure that I did not clobber his effects with lots of loud music, so I worked very closely with him to be able to work around his sound without trampling him. 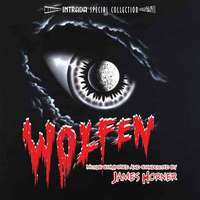 CS: What was your basic approach to the musical score for Wolfen? JH: I wanted to create a sound world for the Wolfen, which was alien, yet which wasn't just a lot of effects. It had be very driving and very primitive, but yet in a way that, hopefully, had not been done before, and I think I was fairly successful. On the alien vision scenes, I knew that everything was very highly stylized, and very subjective, and I created kind of driving rhythm which was, basically, the Wolfen's music. There's no melody–there's a trumpet figure that keeps reoccurring, but basically I wanted to create a very driving type of feeling for the film. 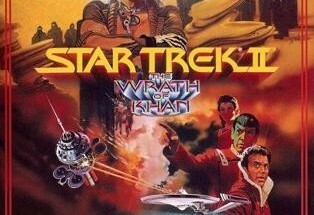 CS: How did you get the assignment to score Star Trek II? JH: A combination of factors. The producers loved my work for Wolfen, and had heard my music for several other projects, and I think, so far as I've been told, they liked my versatility very much. I wanted the assignment, and I met with them, we all got along well, they were impressed with my music, and that's how it happened. CS: How long did you have to write the score? JH: I had about four and a half weeks to write this score. There are seventy two minutes total in the score, for a very big orchestra–I think about ninety-four pieces. I stayed in very close contact with the director and producer all the while. CS: You worked fairly closely with them? Yes. We talked almost every other day, and I played them things. Nicholas Meyer knows quite a bit about classical music, he's an avid classical music fan, so it was interesting to work with him. There were times when he would describe something in terms of an aria, or in terms of some movement of a symphony or something, and I knew what he meant. We communicated very well. But we were very short on time. When you arrive at a scoring session and you have ninety-four people sitting there and you play a cue and nobody likes it, that could be deadly! You can't rewrite it and rescore it, there's not enough time. So you have to make sure that everybody understands what they're going to hear going in. It's worked for me in the past. I hate playing themes for people, but sometimes it's for the best, because it relaxes them and there are no big weird surprises on the recording day. CS: I'd imagine that, due to the large size of this film, it ought to help you in getting further assignments of a big-budget nature. JH: Oh, I certainly hope so. I mean, this was five rungs up the ladder for me. 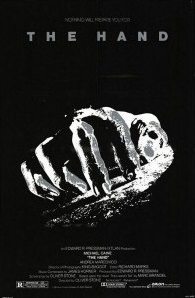 Wolfen was a huge film, it was a twenty-two million dollar film, and it came and went, for various reasons. But Wolfen had a much bigger budget than Star Trek II, but nobody really knows that because it came and went so fast. CS: Would you discuss your "Spectral Shimmers" classical composition? JH: That was about four years ago , performed by the Indianapolis Symphony Orchestra. That was actually the piece that prompted me to give up academia and pursue film music. I worked very, very hard on that piece and I worked very hard on pushing it around, sending it to all kinds of people, working very hard to finally find an orchestra to play it and a place to perform it. 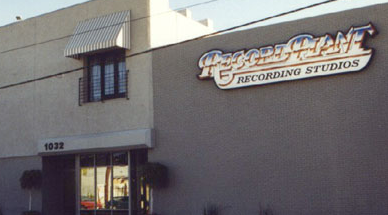 I went to Indianapolis and pushed them very hard to get rehearsal time and after all that work they perform it for one evening, and you say, "Now what?" It gave me such a feeling of having had an impact only on the immediate four hundred people in the audience. It was very well received but it didn't have any impact–I couldn't get another performance. It was too expensive because it was a big orchestra piece, and it's a modern piece and there were a lot of things that were going against writing modern pieces. 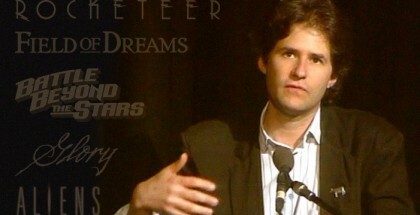 At that point I just said the only place where I could really write music is in films. Nowhere else do you get the opportunity to write something, and four weeks later stand in front of the best players in the city and hear your work. It's the best learning experience in the world. CS: What kind of film scores do you prefer to write? I like dramatic scores. I'm not a disco person, and I 'm not a rock and roll person. I guess I'd call myself more of a classical composer, and my scores tend to have more of a classical sound. Whether one calls those sounds avant garde or not doesn't matter, they're on the classical side of music rather than on the popular side. I haven't written any jazz scores, there's a possibility I may include some symphonic jazz and modern serious music, which I have an interest in, but I'm not into writing a pop score. This is where the Goldsmith analogy comes in because I find that the pictures I'm trying to get and the pictures that he gets are often the same kinds of films. I'm not in his league by any means, but I enjoy doing those kinds of films–action, dramatic, that type of thing. I also like to do very tender stories that also have dramatic underscoring. CS: Are you finding opportunities for more musical variety now, or are you still type-cast a particular mold? Actually, since Wolfen, I have not been typed. I've been given a free rein, I really have, on television and in features, and I like to think that will continue.